According to the CDC (2005), suicide claims approximately 30,000 lives each year in the United States. The law enforcement profession is a dangerous profession that oftentimes dramatically influences an officer’s perceptions of incidents often related to the repeated exposure to trauma. 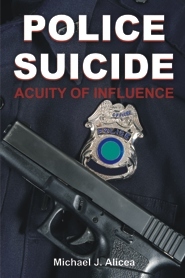 The intention of this research project was to explore the lived understanding of police officers regarding their acuity with respect to the subject of officer suicides. A qualitative phenomenological research was conducted, consisting of nine demographic and nine open-ended interview questions. Data were audio-recorded and transcribed throughout the interview process. The research project examined the awareness levels of police officers in a local metropolitan agency in Miami-Dade County, Florida. A review of the information provided by this research study resulted in five major themes focusing on (a) suicide prevention, (b) talking about suicide, (c) prevention training, (d) identifying available outside resources, and (e) understanding the police culture. The conclusions reached as a result of this research project could broaden the existing literature of suicide and may assist police administrators who may face the issue of police officers considering suicide. Dr. Michael J. Alicea is a Law Enforcement Officer with 33 years’ experience and 23 years as an experienced clinician. He’s facilitated behavioral support groups for a number of mental health agencies in the South Florida area. He is a Medical Social Worker for Baptist South Miami Hospital, and is on the faculty at the University of Miami and Miami-Dade College. He holds an A.A. (Psychology) and A.S. (Criminal Administration) from Miami-Dade College, and a B.A. (Psychology) and M.S. (Marriage and Family Therapy) from St. Thomas University, and a MSW degree from Barry University and an Ed.D. (Counseling Psychology) from Argosy University. Chomsky received his Ph.D. in linguistics from the University of Pennsylvania in 1955. He conducted part of his doctoral research during four years at Harvard University as a Harvard Junior Fellow. In his doctoral thesis, he began to develop some of his linguistic ideas, elaborating on them in his 1957 book "Syntactic Structures," one of his best-known works in linguistics. 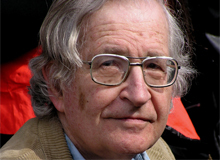 Chomsky has been described as the "father of modern linguistics" and is today a major figure of analytic philosophy.